Over the years, NJLS has received several accolades. 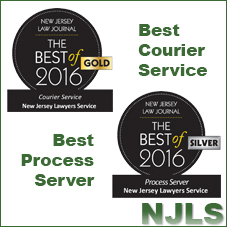 Recently it has received the “Best” seals from New Jersey Law Journal (NJLJ) Reader Rankings surveys. Hundreds of lawyers and legal administrators participate in the voting. The ballots consist of more than 60 categories, including litigation support.